Superior air conditioning is a fact of life here in South Florida. You can't afford to be without it. There are tremendous savings to be had in more modern air conditioning systems. 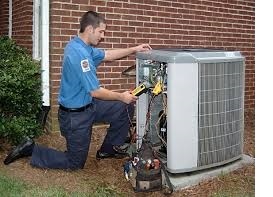 Today there are cutting-edge AC systems that will give you ice cold temps while really cutting back on power costs. This not only lowers your bills, it lets you enjoy a dry, cool life during our warm months. That can completely change how your approach life - just being cool! Also important, modern AC systems save power and don’t spew damaging chemicals. All this is very beneficial to your family’s health and the environment. Preventive Maintenance Support Services Company has been replacing AC systems for decades during our long 21 year history. Our industry knowledge and deep experience insure you get the innovative and cost saving air conditioning you want and deserve. We can sit down with you to find out exactly what your AC demands are. Then we can create a plan that will give you the exceptional performance and efficiency you want. Please call Preventive Maintenance Support Services Company today and let’s discuss your project. Call (561) 586-5655 for your no-obligation discussion and FREE quote.